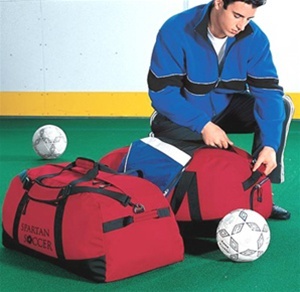 This oversized bag features a large covered double-zip center opening and a large D-shape nylon lined pocket for shoes or wet items. Padded carrying handles and ergonomic adjustable/removable shoulder strap. Front zippered pocket for convenience, interior pouch pocket zips shut and is perfect for valuables. 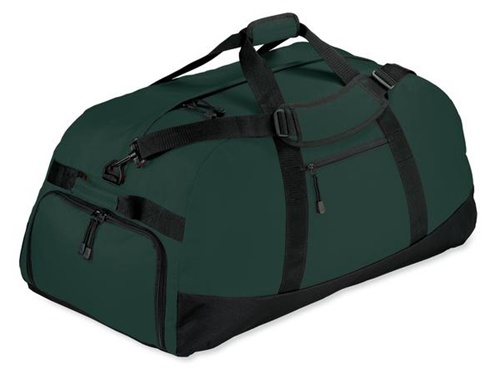 The bottom board allows for easy packing and helps bag retain its shape. Durable 600 denier polyester fabric.